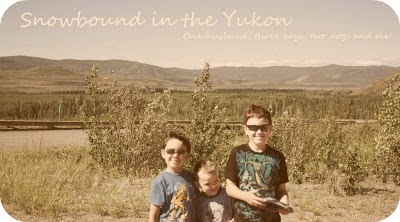 Snowbound in the Yukon: Quick one. Is it strange that I love it when my muscles ache, the slow burn from exercise! I love knowing that I'm working them and making them stronger. It does seem to be making a difference with my knees. I've managed to get on the treadmill a bit and hope to do more on there. Last night was my second class and it seemed even better since we'd already gone through one class and we knew what we were doing. We worked through each station twice. So I feel good about it. On other news Mickey is making more efforts in communication and Little One is now 19lb 5 oz. and 29 inches long.